Historical marker will remember care of Civil War orphans. The orphaned children of Civil War soldiers were fed, loved and looked after in a series of Springfield homes operated by Mary Whitney Phelps. This month, the Civil War Orphans’ Home historical marker — honoring Phelps’ work — will be dedicated on the grounds of Sunshine Elementary. Phelps became deeply involved in the plight of children who lost one or both parents during the bloody battles in southwest Missouri and beyond. » Home of John S. and Mary Whitney Phelps on the 1,050-acre Phelps Plantation, now the area of Phelps Grove Park. » Home of Louisa Campbell, widow of Springfield’s founder, John Polk Campbell. » Former Berry mansion, used as a government hospital during the war, now roughly the area of the John Q. Hammons fountain on Chestnut Expressway. 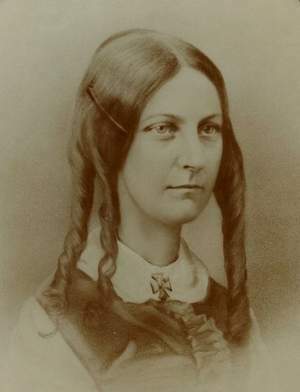 In 1866, the U.S. Congress recognized Phelps’ work on behalf of wounded soldiers and orphaned children with a $20,000 award, which she used to finance the expenses of the orphans’ home. Two years later, the Mary Phelps Institute for Young Ladies opened in a two-story frame building near the northeast corner of Sunshine Street and Campbell Avenue. The decision to locate the historical marker, made of black granite, on the Sunshine Elementary campus — strategically located near several of the home locations — was enthusiastically supported. A ceremony to unveil the historical marker has been scheduled for 1 p.m. Sept. 30 at the school’s corner of Sunshine Street and Jefferson Avenue. Sunshine Principal Rene Saner said teachers are exploring different ways to weave the lessons of the Civil War — and the lives of children living during that time — into classroom lessons. Students have been practicing the Civil War song “When Johnny Comes Marching Home” in music class and fifth-graders are writing essays about life during the Civil War. Extra resources, including access to a trunk of artifacts used by soldiers during that war, will be made available to Sunshine teachers this month. The event will also be a learning experience. Civil War bonnets, made by members of the Daughters of Union Veterans, will be presented to girls enrolled at Sunshine. The boys will receive Abraham Lincoln top hats. Mayor Pro Tem Bob Stephens, Presiding Commissioner Jim Viebrock, Rep. Sara Lampe and Associate Superintendent Ben Hackenwerth plan to speak during the event. The Phelps Camp No. 66, Sons of Union Veterans of the Civil War, will provide a color guard and musket volley. Others are expected to attend in Civil War era attire. As students grow and move on to middle and high school, McAlear said she hopes they will pass the historical marker and remember they played a role in its unveiling. The Mary Whitney Phelps Tent No. 22, Daughters of Union Veterans of the Civil War, 1861-1865, will dedicate the Civil War Orphans’ Home historical marker this month. The ceremony is 1 p.m. Sept. 30 at Sunshine Elementary, the corner of Sunshine Street and Jefferson Avenue. Parking is available at the adjacent Jefferson Avenue Baptist Church.